What differentiates business people from business professionals? Many individuals invest in their careers yet have no clue how to set themselves apart from their competition. 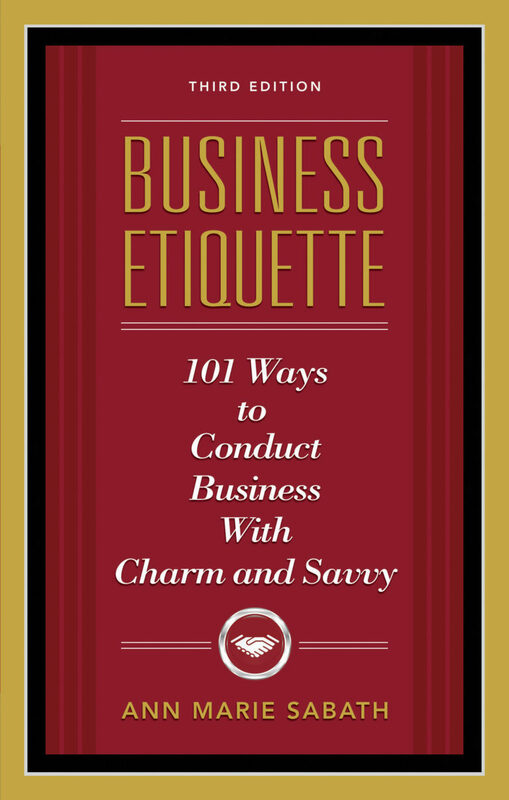 Business Etiquette: 101 Ways to Conduct Business With Charm & Savvy reveals both the unwritten and unspoken rules of success. It gives new hires and seasoned professionals alike those rather effortless strategies for climbing that slippery ladder of success. Dealing with international hosts, colleagues and customers. "Assists individuals in enhancing their understanding of the 'perception impact.'" "Anyone who wants to make a great impression on co-workers or customers can benefit from the tips provided in this book." Know what to do when a new boss comes on board. You have the perfect boss, and you couldn’t be happier with your job. Suddenly you learn that she has been promoted and a new manager is about to start. This means you now have to start from scratch in building up a good working relationship. This is likely to take some work, as the new boss has been hired from outside the company. Along with a new boss comes a new department culture. Things change – like it or not. So rather than resisting the introduction of a new element into your department, welcome it. Accept the fact that the way some things are done presently will change in time and that it could be for the good of both the department and the company as a whole. You are certain to gain the respect and support of your new boss if you respect and support him or her. Make it clear that you are there to assist. Rather than offering unsolicited advice, wait to be asked before giving your perspective on matters. Give your new boss time to implement changes and to see how the changes work. Make yourself a valuable member of the team – work with, not against, him or her! Position the “hosts,” or key people within your organization, in certain areas of the room so that guests can be waltzed from group to group in a smooth fashion. The most important person should be farthest away from the door. This will prevent people who want to speak with this person from crowding the entrance.